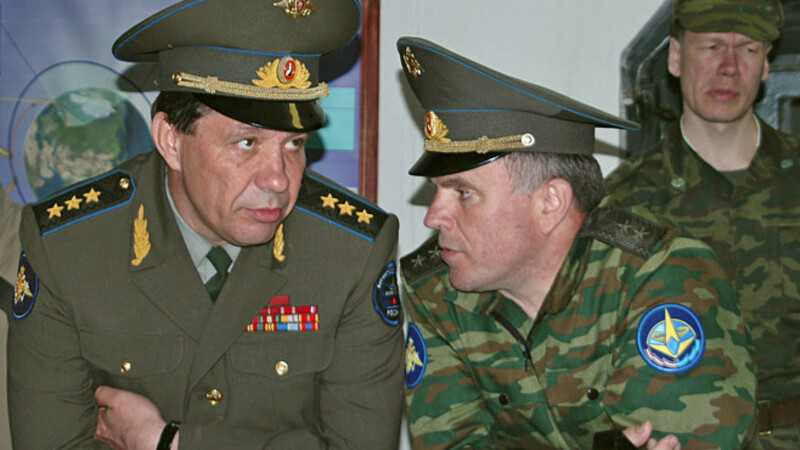 Popovkin speaking to colleagues in 2007 in has role as commander of the Russian Space Forces. Vladimir Aleksandrovich Popovkin, former head of the Federal Space Agency, or Roscosmos, passed away on Wednesday from an undisclosed illness at the age of 57, a Roscosmos press release said. Popovkin, who presided over the space program for over two years after his appointment in 2011, was replaced by Oleg Ostapenko in October 2013. He was born in Dushanbe in 1957 to a military family, and graduated from the elite Leningrad military engineering institute, walking into a job at the Baikonur Cosmodrome in Kazakhstan, the launch site for most of Russia's spacecraft. There, he rose through the ranks from a lowly engineer to commander of the same launch pad that Yury Gagarin himself launched from in 1961. Historically, Russia's space sector has been inexorably linked to the military, and Popovkin's rise following his tenure at Baikonur reflects that connection. In 1986 he joined the Strategic Rocket Forces and began a meteoric rise through the Defense Ministry's space command. When President Putin created the Russian Space Forces, a new branch of the military, in 2001, he tapped Popovkin as its chief of staff, and in 2004 he became its commander. In 2008, Popovkin served as head of procurement for the Defense Ministry, and by 2010 was the First Deputy Minister of Defense until his appointment as head of Roscosmos in 2011. As head of Roscosmos, Popovkin had to answer for the failure of the 2011 Fobos-Grunt robotic mission to one of the Martian moons — the probe malfunctioned before it could even leave low Earth orbit, and burned up unceremoniously in the Earth's atmosphere a few weeks later. Undeterred, Popovkin moved to give Russia's space science community a means of saving face, and seized the opportunity to participate in the European Space Agency's, or ESA's, own unmanned Mars mission — ExoMars. Originally an ESA-NASA project, Washington pulled out of the program amid budget cuts in 2012, leaving Europe in a precarious position until Roscosmos swooped in and filled the gap — saving the scientific ambitions of both ESA and Roscosmos. The head of the space studies institute at the Russian Academy of Sciences, Lev Zeleny, on Wednesday praised Popovkin for saving the project.